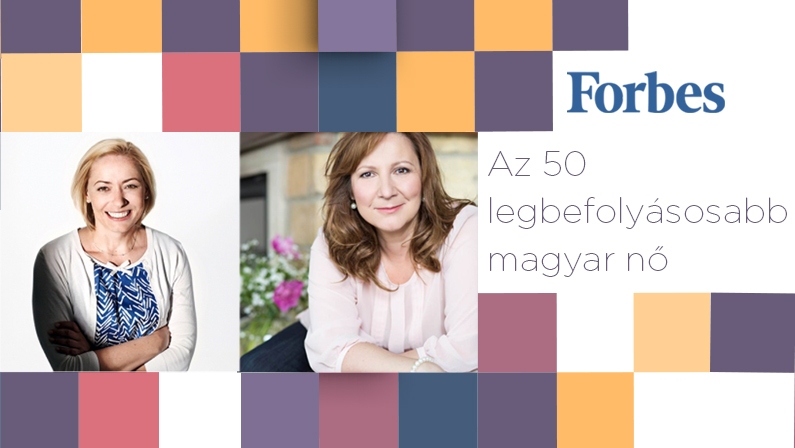 Forbes magazine prepared, for the 4th time this year, the TOP 50 list of most powerful women in Hungary, from the fields of business, culture, media and public life. Two executives of Central Media Group finished in the top 10. Deputy Chief Executive of Strategy Mészáros Kinga was ranked 4th, and Editor-in-Chief of Nők Lapja Vékási Andrea was ranked 6th most influential woman in Hungary. The TOP 50 Most Powerful Women list was published in the April issue of the international business magazine Forbes. The selection criteria included the size of the managed budget, the number of employees, the value of expertise in the market, and achievements in the last year in her own career and in the life of the company she represents. Two senior executives of Central Media Group finished near the top in the media segment. Deputy Chief Executive of Strategy since November 2017, Mészáros Kinga finished 4th, while Editor-in-Chief of Nők Lapja, a market leading magazine since 1949, and acting Director of Magazine Segment Vékási Andrea was ranked 6th on the list. To read the full article by Forbes click here. NextNew CEO at Central Médiacsoport Zrt.